We are nothing if not opinionated. Innovation Day, where are they now? 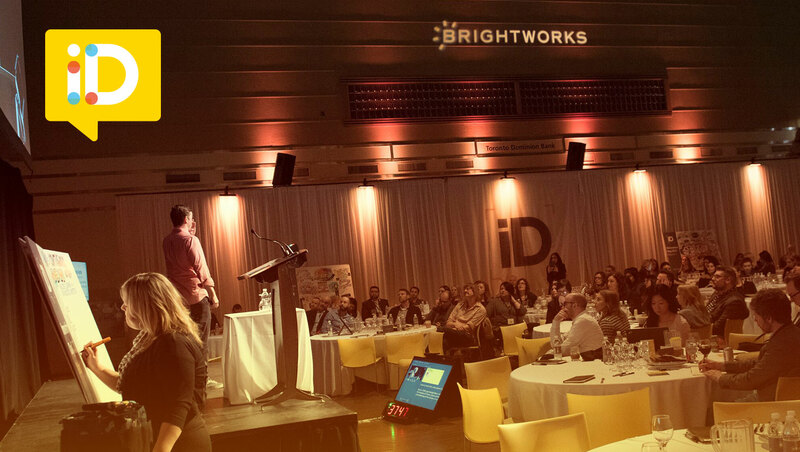 We are deep into the planning for the 8th installment of Innovation Day and our minds have turned to the almost 100 presenters who have graced our stage since the very first conference. Where have all those authors, artists, creators and founders gone off to? Read on for a somewhat random update on 5 Innovation Day speakers of yesteryear! Alfredo presented so long ago I can’t even remember what year it was, but I do remember photoshopping his likeness onto the movie poster for “The Social Network”. Yes, he was one of the first employees of Facebook Canada! After travelling for years and running Facebook offices around the world, Alfredo recently left the company and, after consulting briefly, just started as the Chief Digital and Innovation Officer for WestJet. Now that’s a move we “like” (sorry about that, I couldn’t resist). Dan closed out Innovation Day 2017 with a talk on happiness, and ended the day on an amazingly high note. He teaches at NYC and is the kind of person who would actually make me want to go to class, and that is saying A LOT! I had the opportunity to spend time with Dan after Innovation Day and he brings the same kind of passion and intensity to a chat over a beer as he does to presenting in front of 300 people! I was excited recently to receive a copy of his new book “U Thrive” in the mail, and more excited when he told me it was a runaway success in its 3rd printing. On a side note, Dan mentioned to me his girlfriend’s bar was destroyed by a fire just before iD last year, but it’s now back up and running and clearly getting rave reviews… it’s the first on this list! Ah, Nick! Nick has more Innovation Days under his belt than anyone other than me! A keynote speaker 6 times, he brought not only the amazing marketing insights he developed while President of the Americas for Contagious magazine, but also the eloquence that he developed through years of being a writer! I always came away from his keynotes with a few great ideas to steal and more than a few “why can’t I talk like that” moments. Nick and the Contagious team are close to Brightworks as we’ve attended a number of their events in NYC, and even spent an afternoon in their pool at Cannes! He has since left Contagious and is the Editorial Director at Uncorked Studios… and in lieu of a keynote this year, he’s promised us a blog post before April 19th! Bruce opened up iD 2015 in his signature jean jacket with a head of hair that makes a bald man jealous. He presented on work culture and how to get the most out of your teams. We met Bruce when he asked to tour the Brightworks office… seems he was moving in upstairs and wanted a little inspiration! Round13 Capital, his growth-stage venture capital firm, is just one floor up, so there is a regular flow of founders and investors through the lobby of the building. Bruce has a capacity to manage more than most humans, so check out one of his many projects – The Disruptors – on BNN. We had James in for the 2014 installation to present on his cover story for the Atlantic The 50 Greatest Breakthroughs Since the Wheel. He is an incredibly respected author, and has been a National Correspondent for the Atlantic since the 70s, which is way before most Brightworkers were born! He was also the first speechwriter for Jimmy Carter who ever presented at iD. I had the opportunity to sit with Jim (he did say “call me Jim”, so I will) over lunch, and was regaled with stories (and photos on his iPad) about the new plane he had purchased. It turns out that he is an avid pilot and has been travelling all over the US with his wife. It seems those trips have paid off, as Jim’s new book “Our Towns: A 10,000 Mile Journey into the Heart of America” is about to hit the shelves on May 8th! Who said you can’t be social in healthcare? Summer Party 2018 – Another great night with clients and friends! BW Summer Interns Tell All! Award Season Kicks Off With a Win!